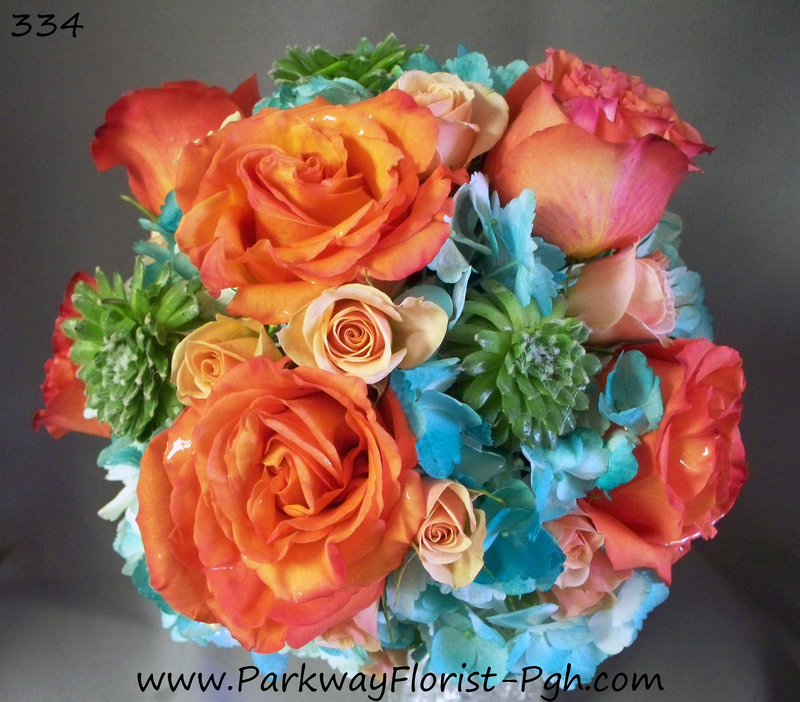 We’re back at it again exploring colors! 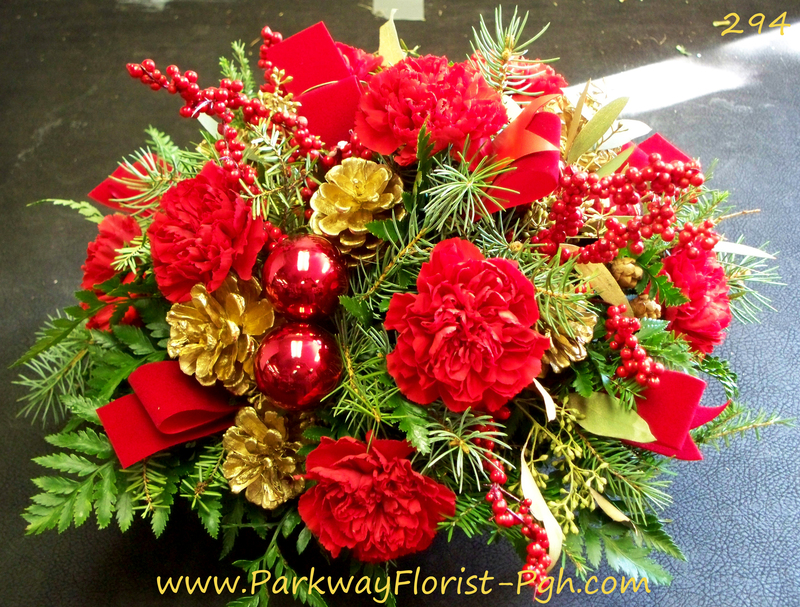 This week we are bringing the color red into the picture. 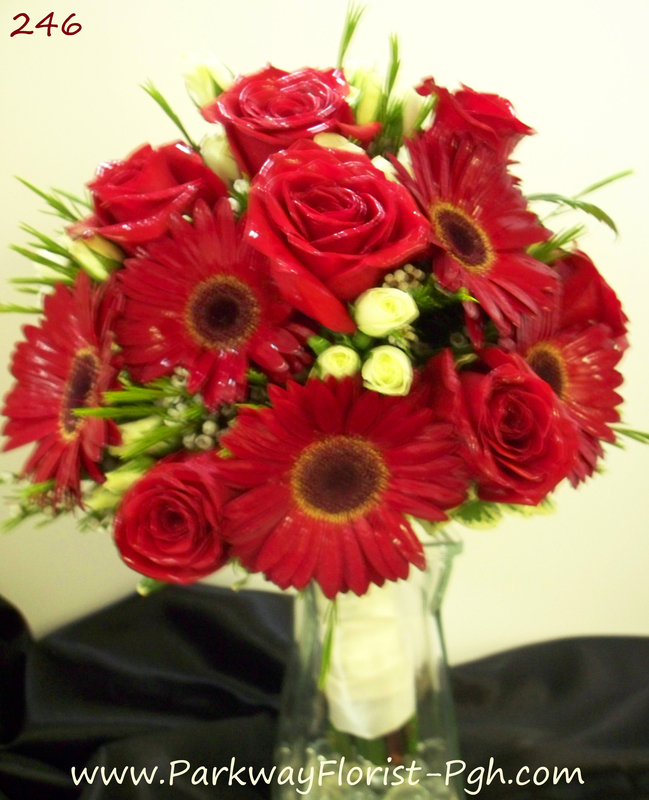 Red is a primary color so it is often fairly prominent in nature. 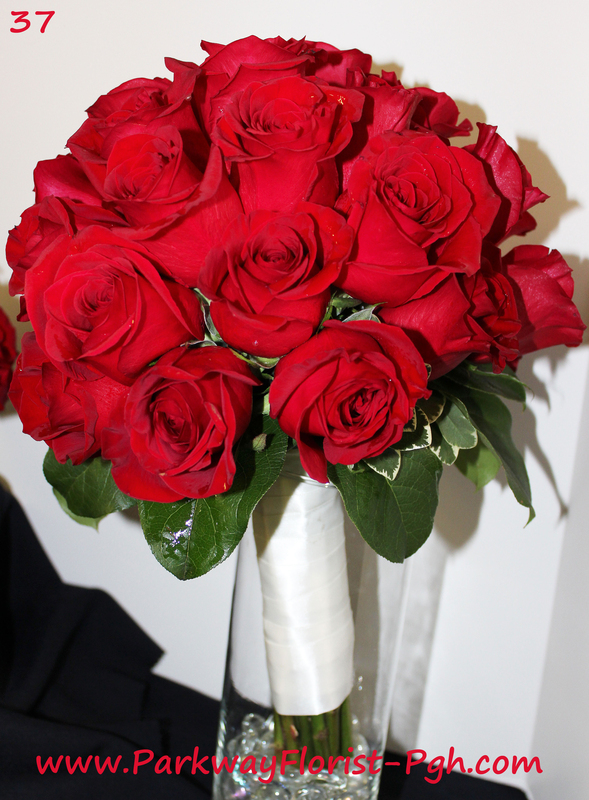 Seeing the color red prompts the brain to release adrenaline as well as increase heart rate and blood pressure. 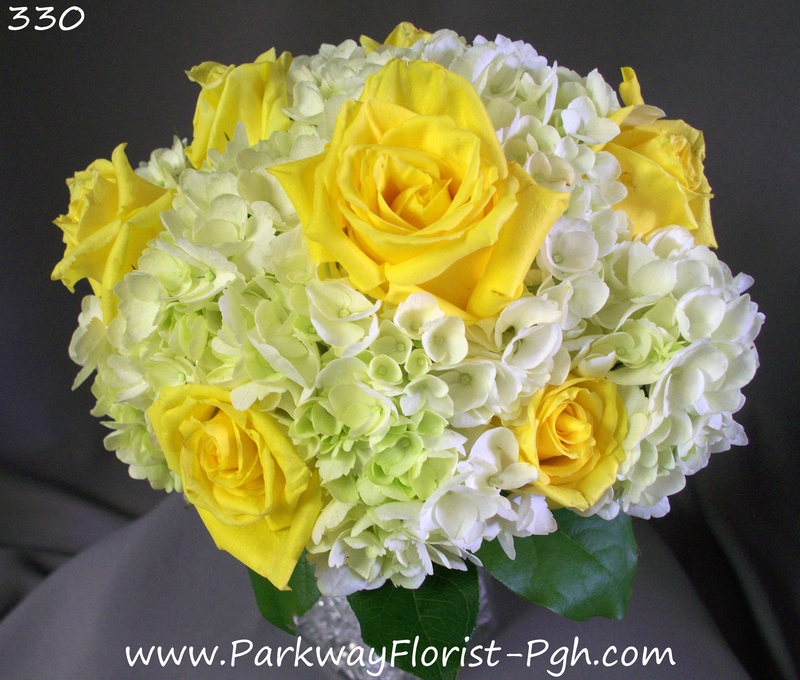 This is interpreted two ways by the human body: Passion and Energy. 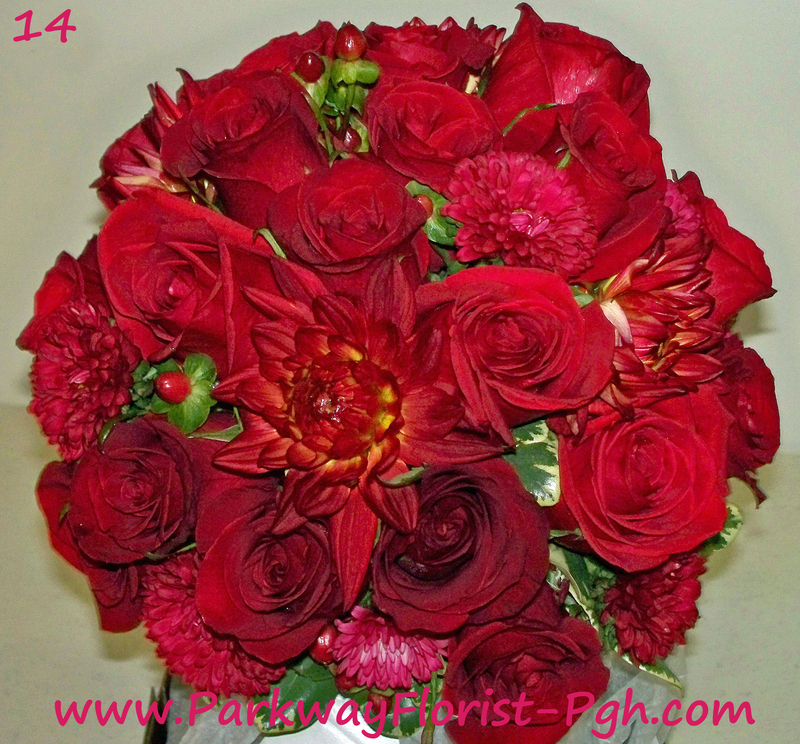 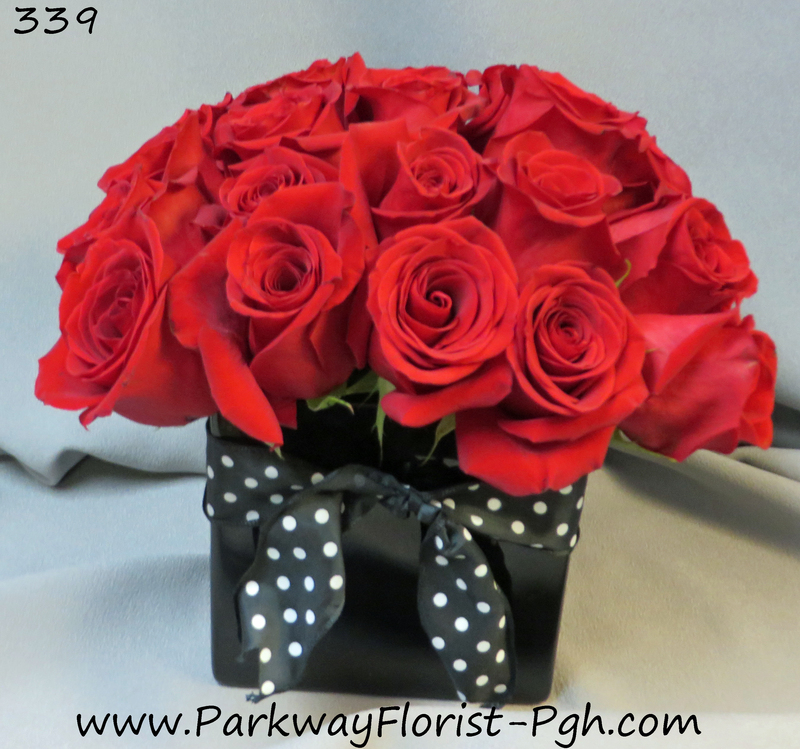 Passion: Red roses have always been a symbol of love and passion. 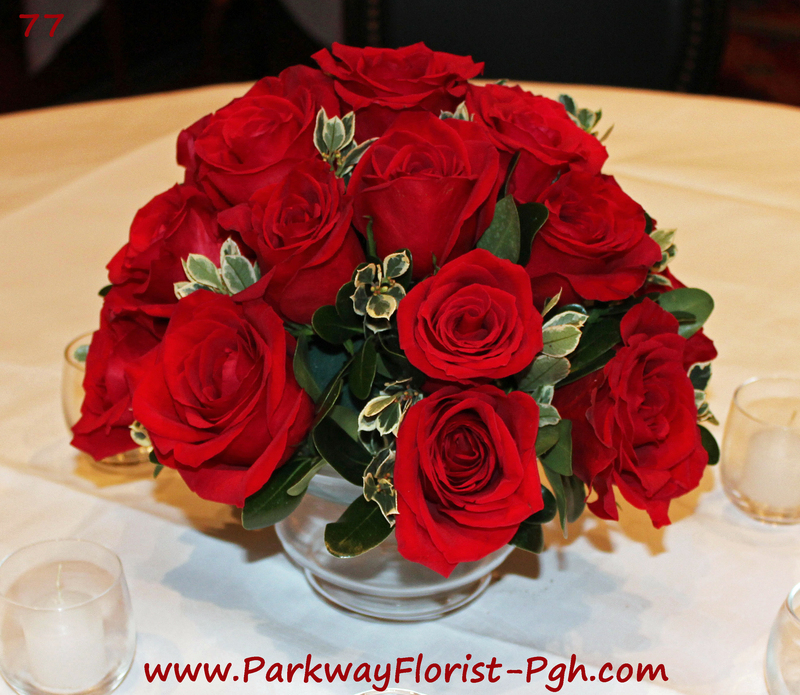 The color red is used for Valentine’s Day to represent love, and it is always used in reference to our hearts. 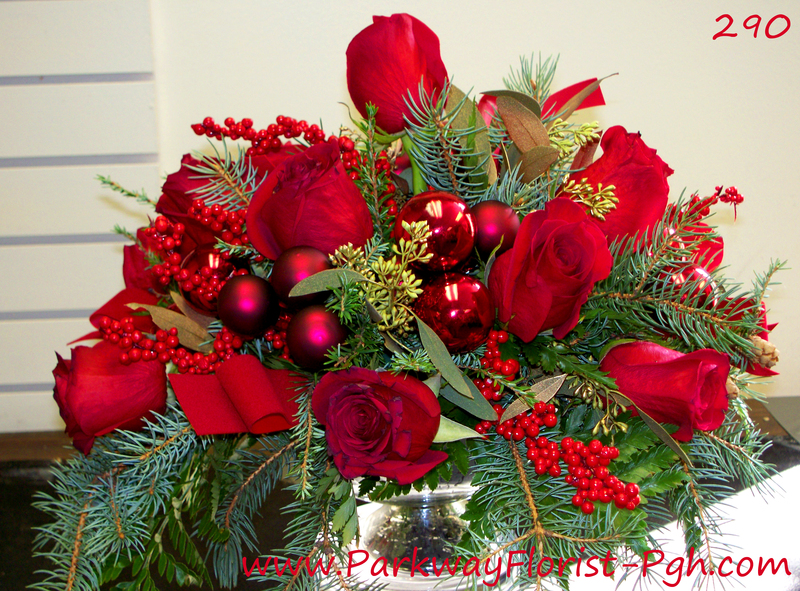 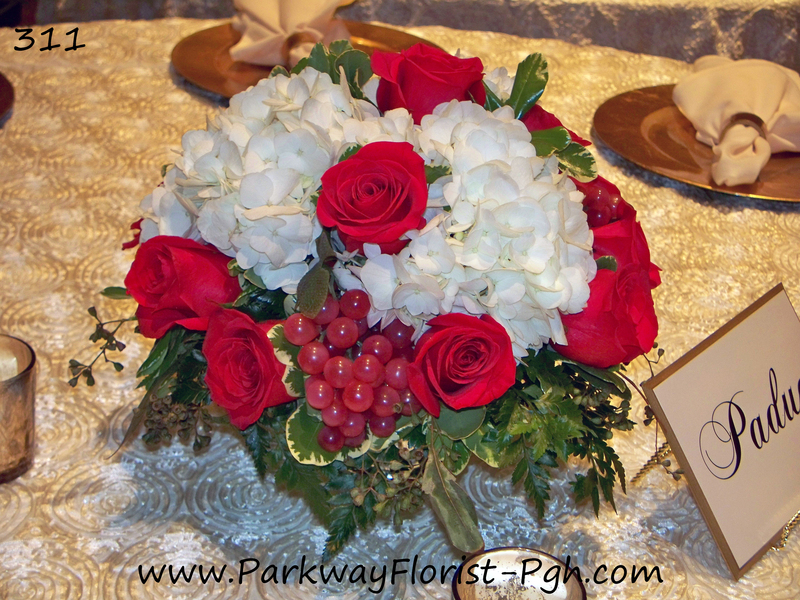 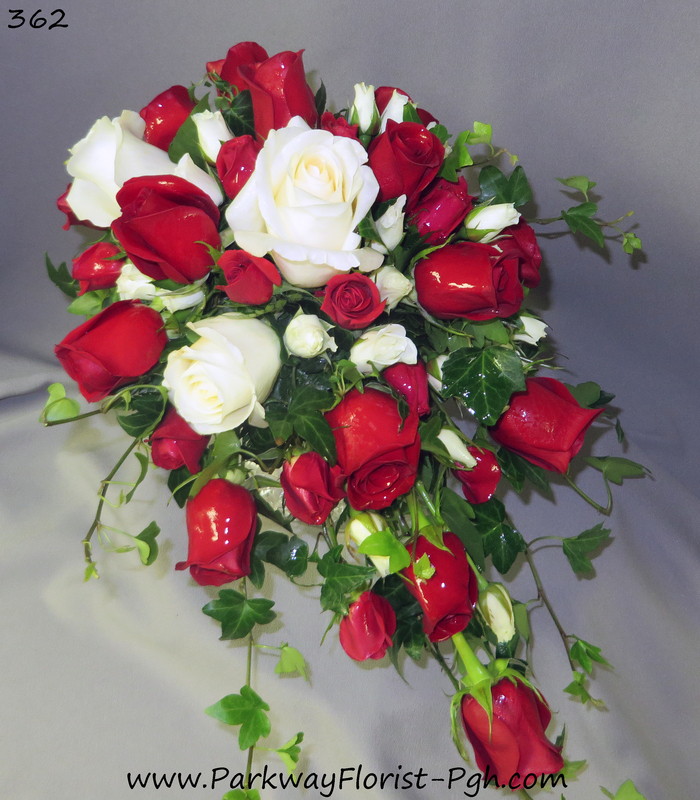 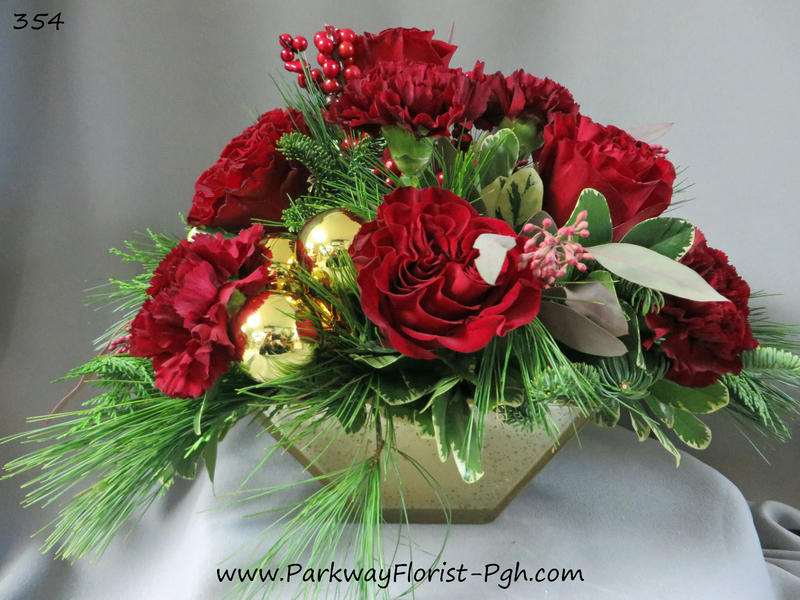 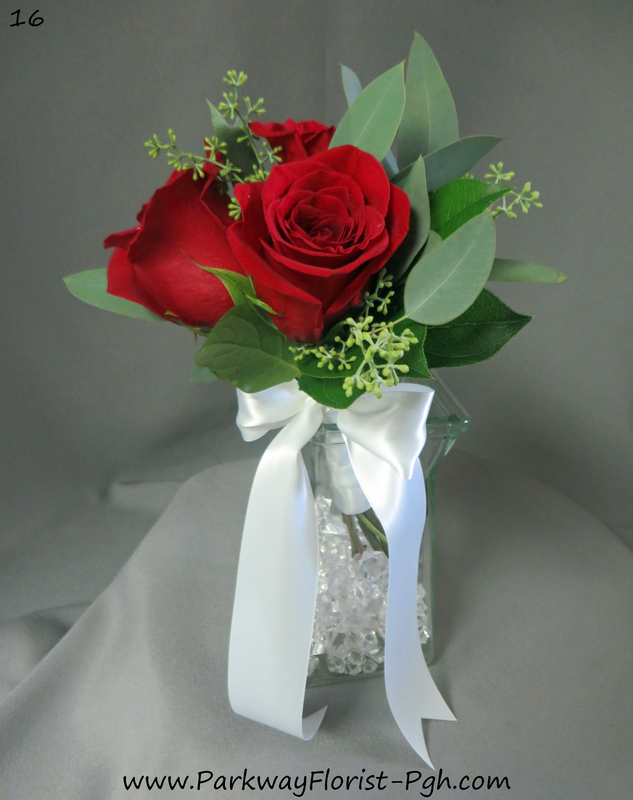 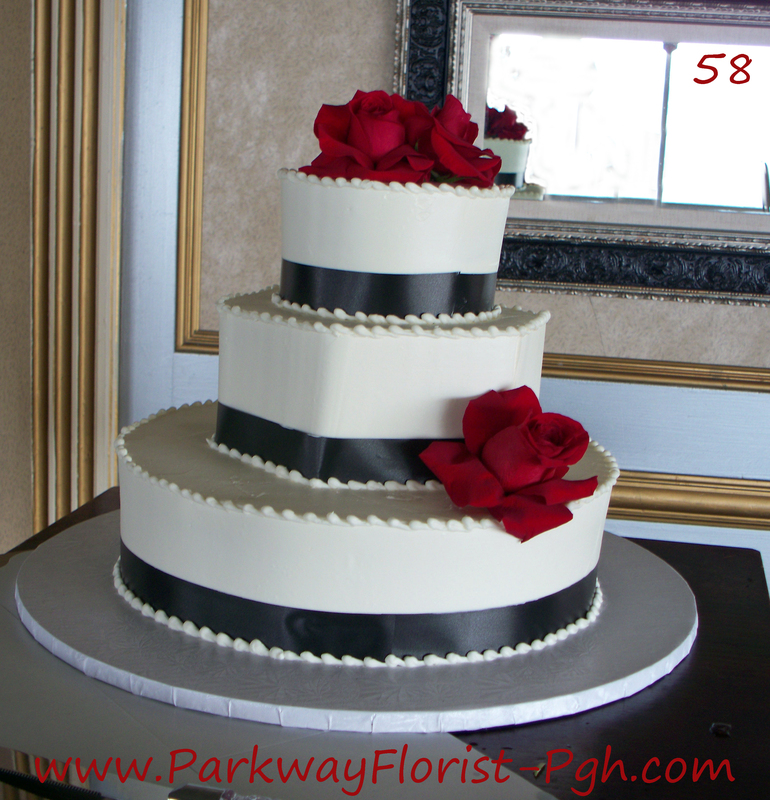 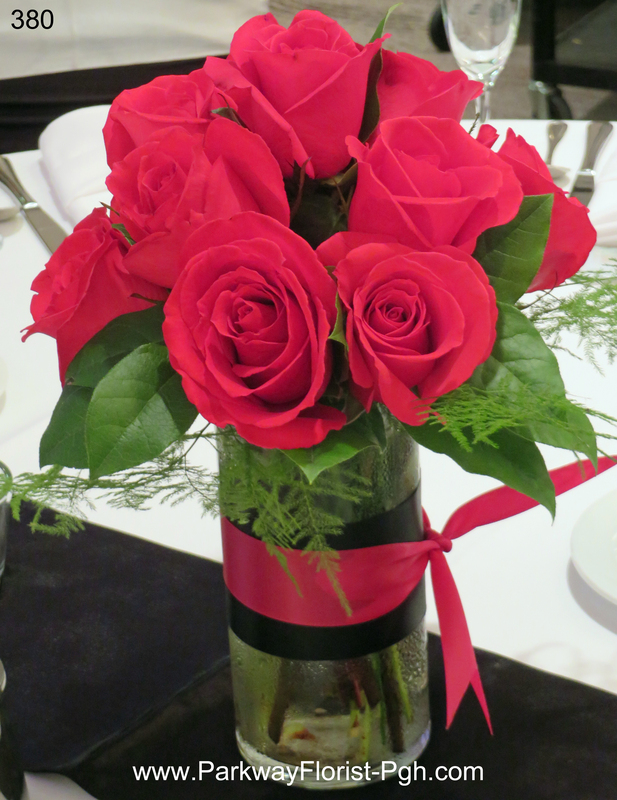 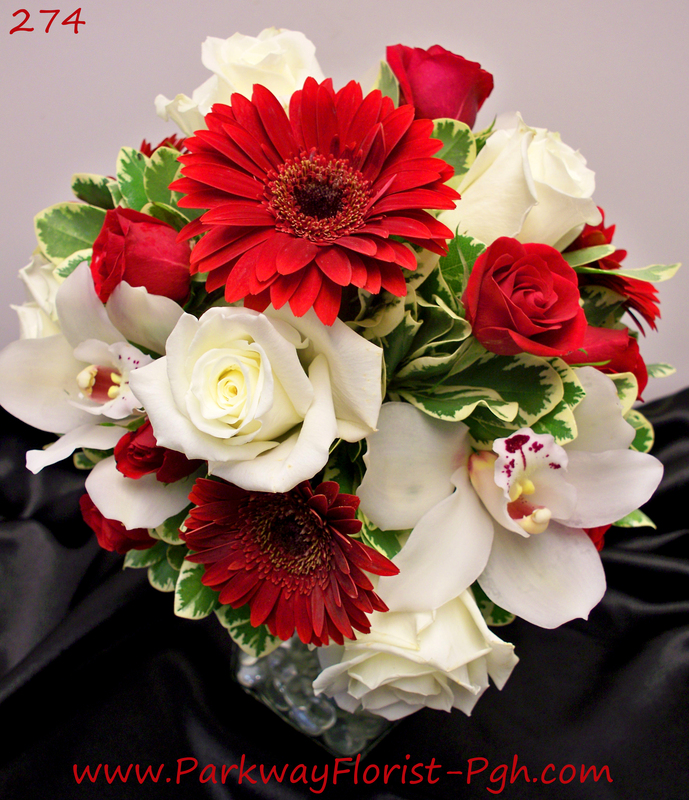 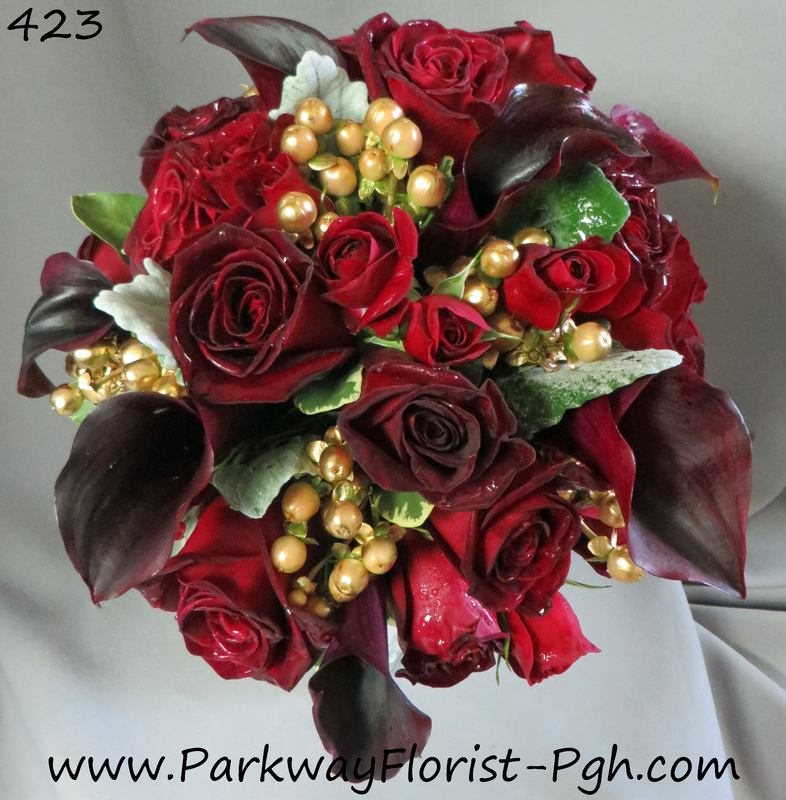 Traditionally red is the color used to send the message of love, and that is not a trend we see changing any time soon! 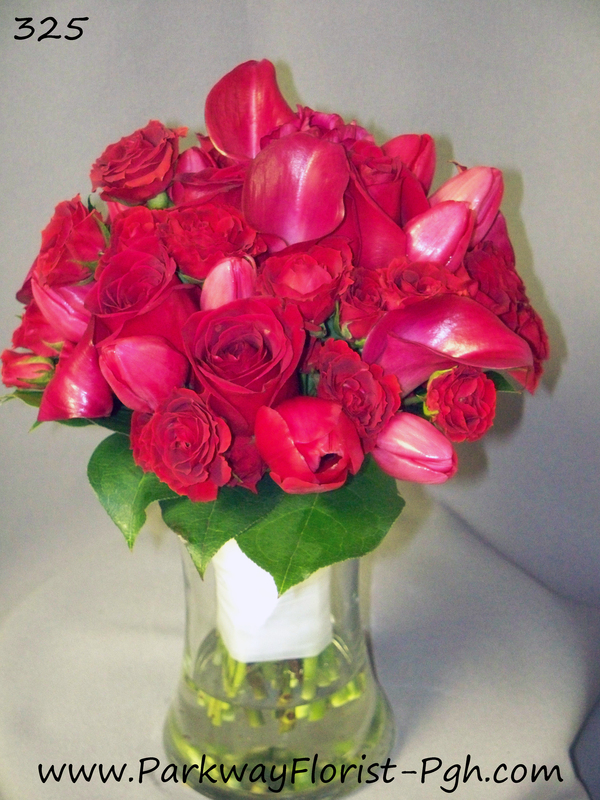 Energy: The color red is energizing and motivates us to take action. 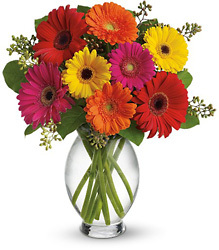 This can sometimes have a negative connotation such as with anger or aggression. 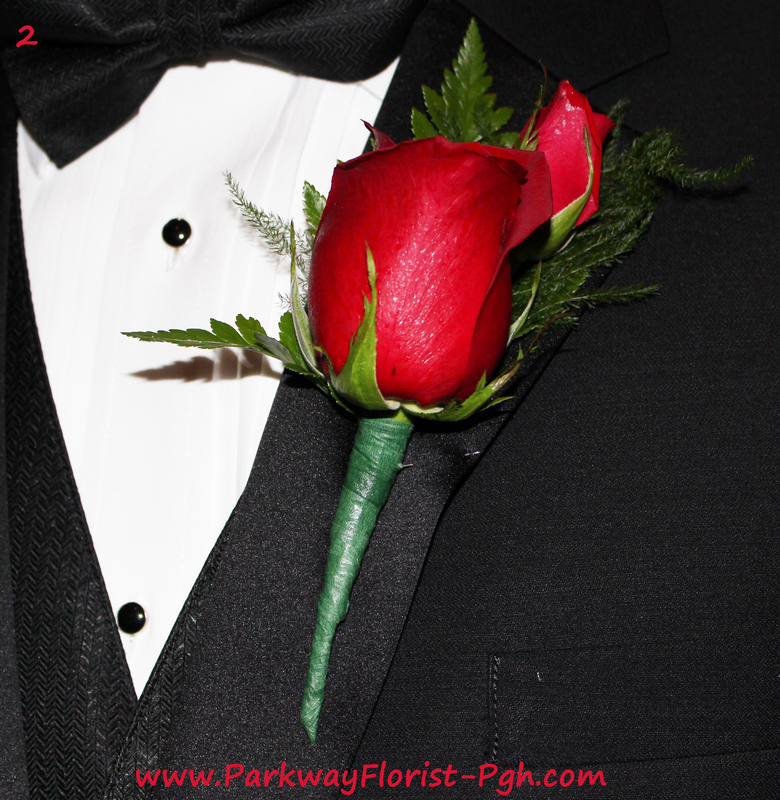 Other times it can simply inspire action or be attention grabbing, for example a Stop sign which is always red. 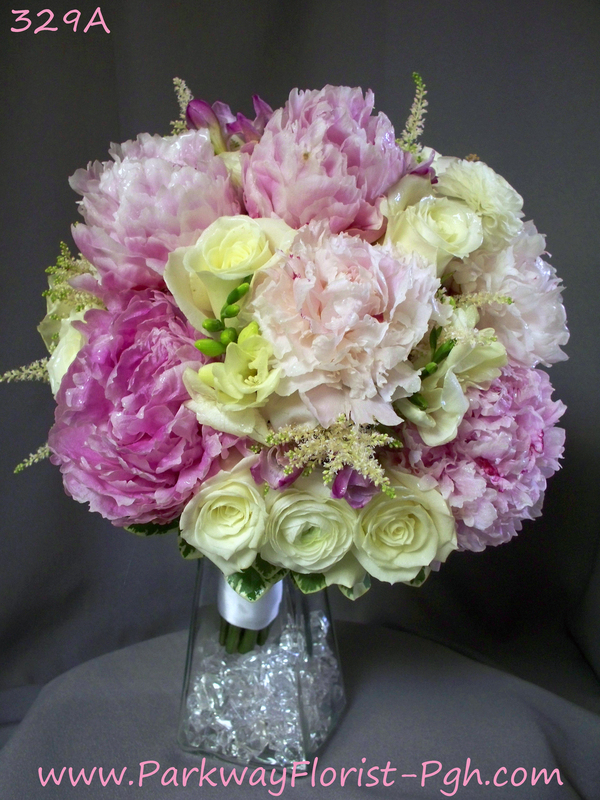 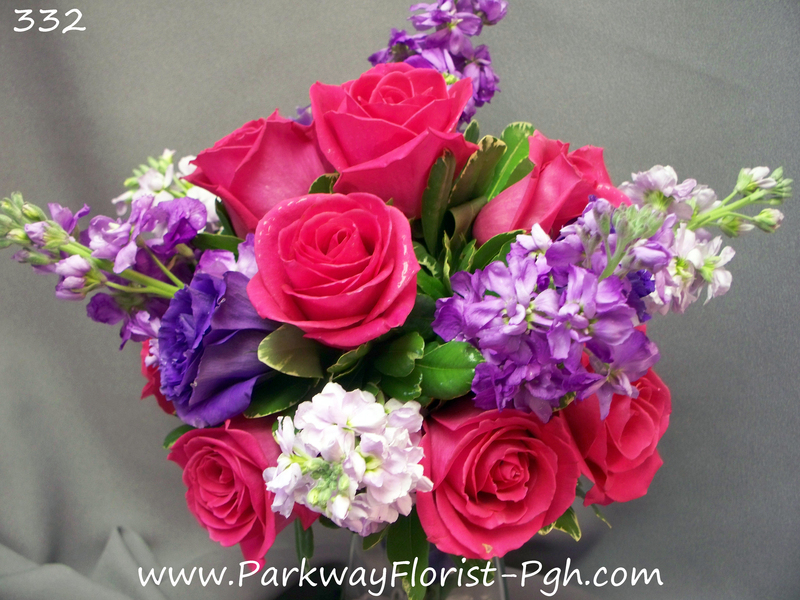 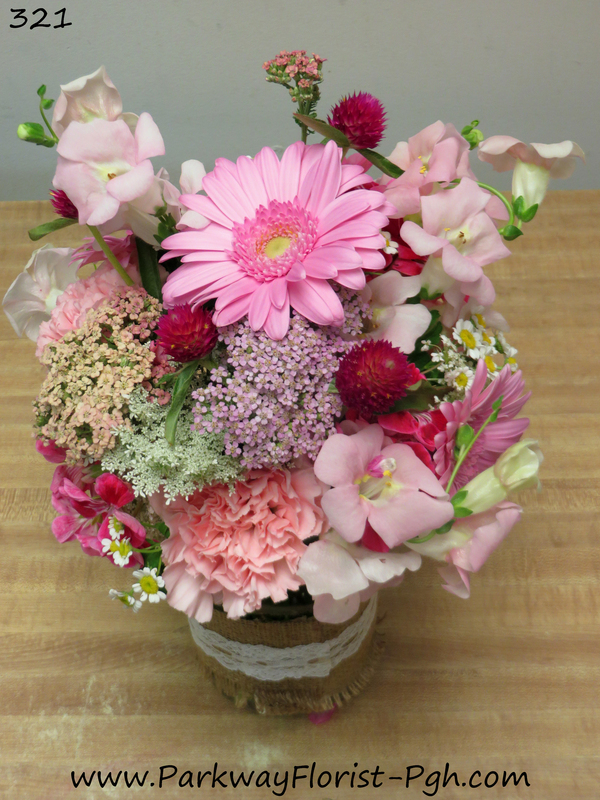 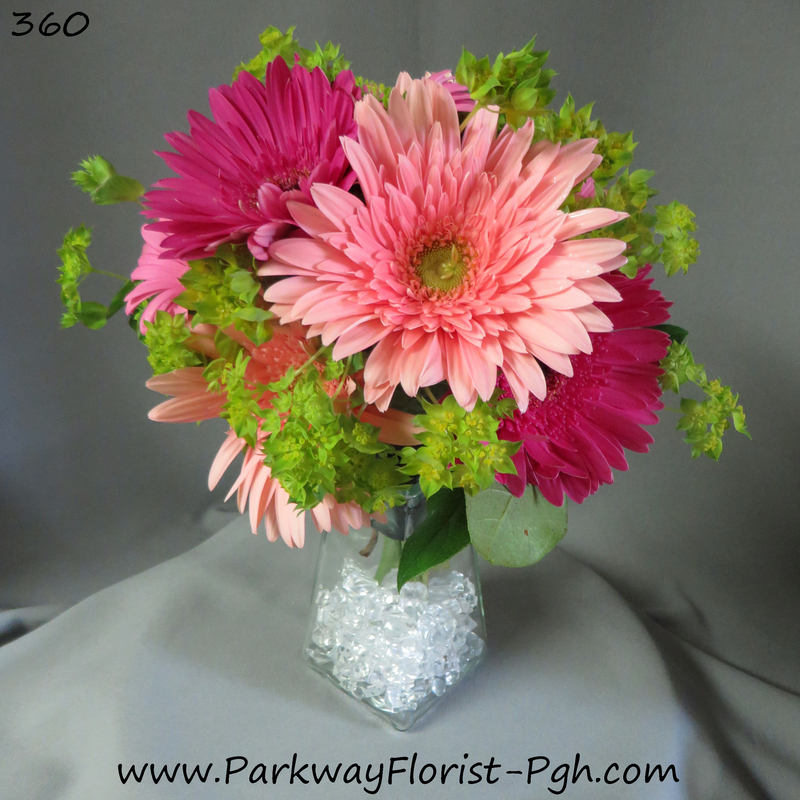 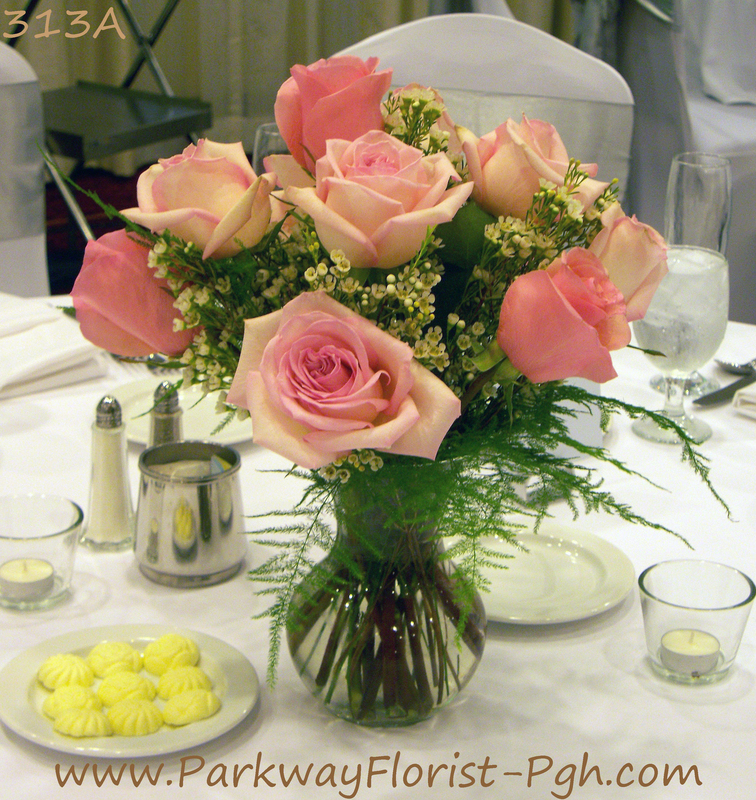 Luckily, the beauty of flowers help us make the distinction that we mean love and passion. 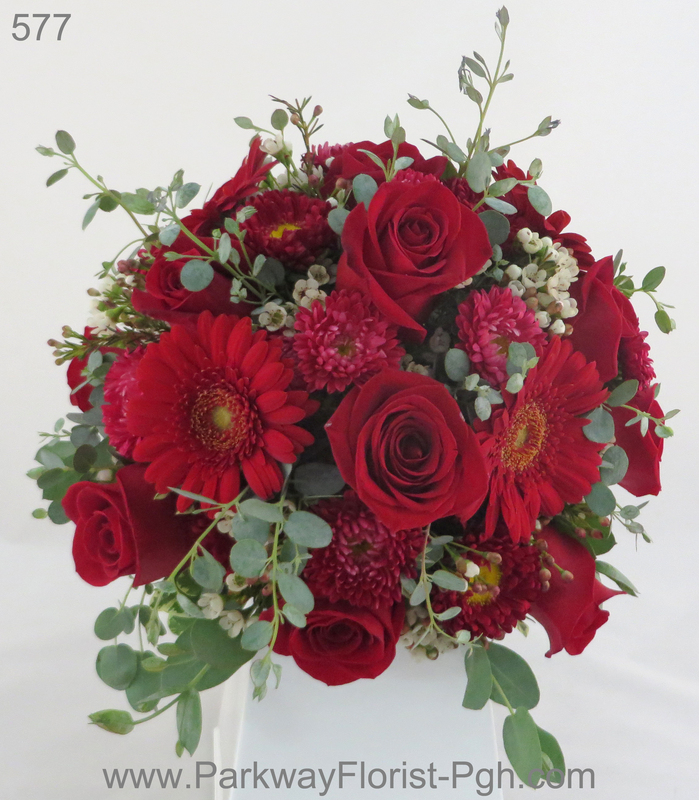 That is why red flowers have often been popular for weddings. 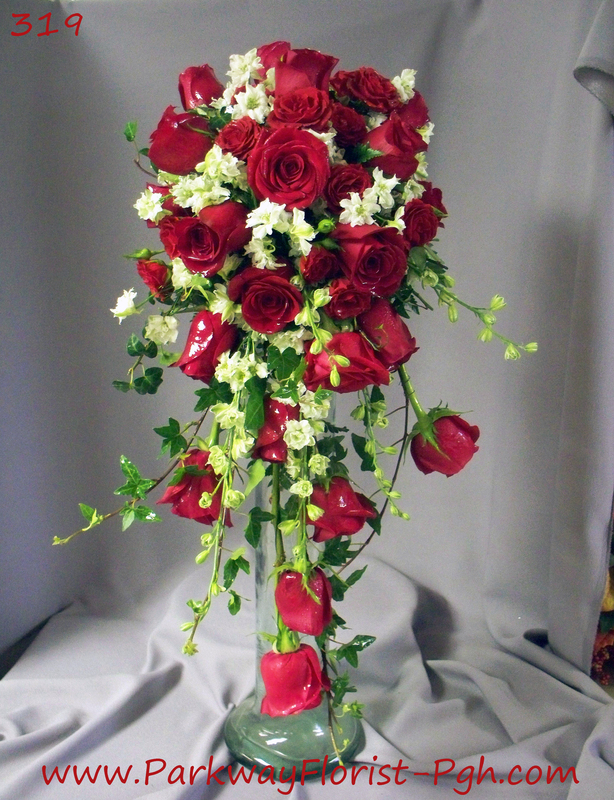 A wedding represents the unity of a couple joined in true love and using the color red to represent the couple’s love seems very fitting. 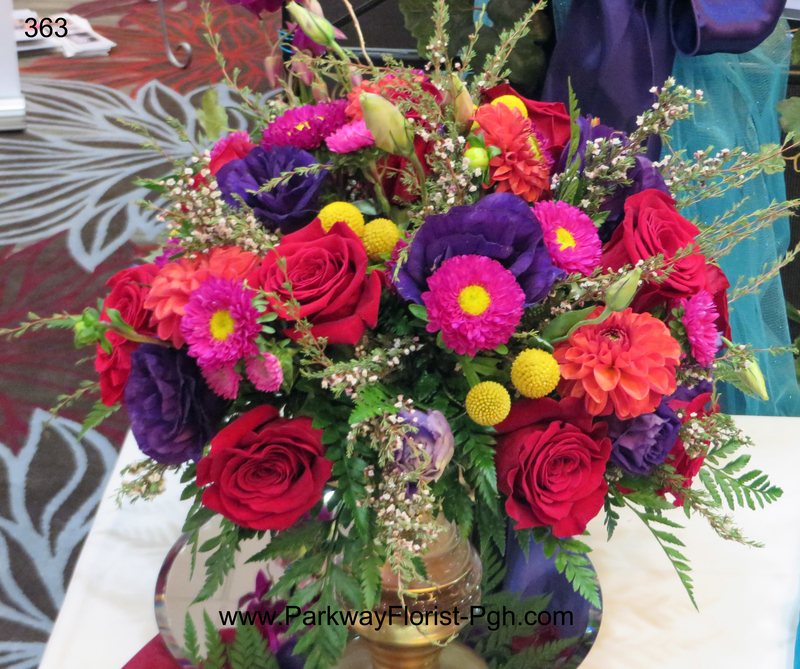 Join us next time to see what color we will look into next! 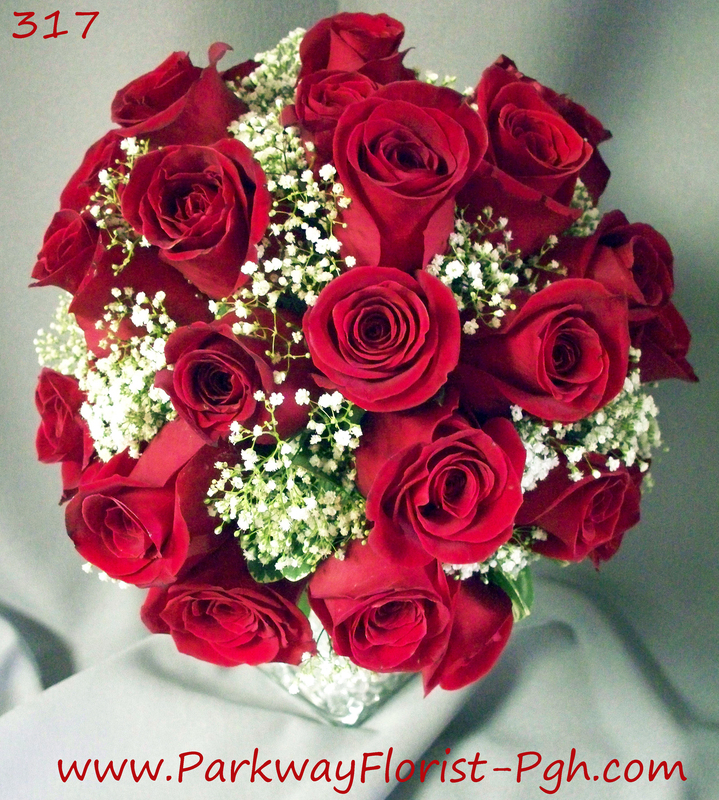 This entry was posted on August 30, 2016, in Exploring Colors and tagged anger, color red, love, passion, red, red bouquet, red bride bouquet, red bridesmaids bouquet, red centerpiece, red flowers, red roses, red wedding. 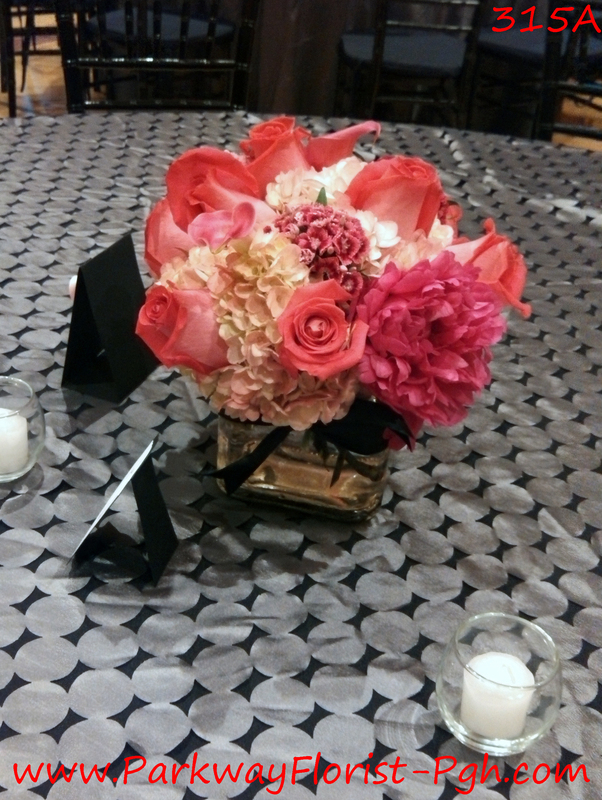 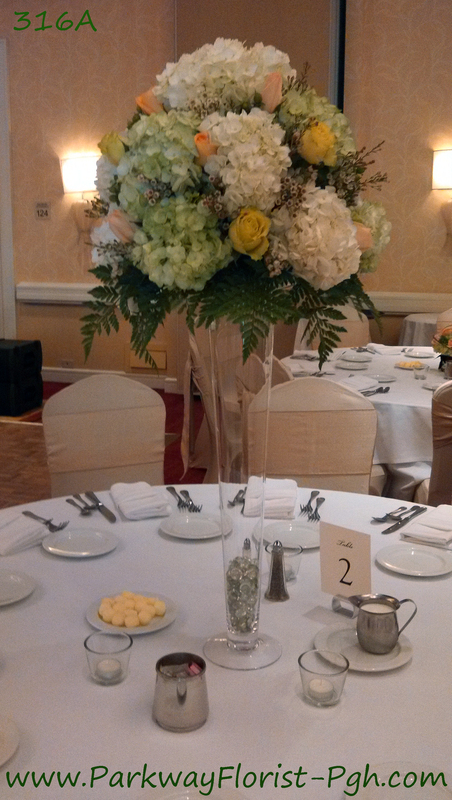 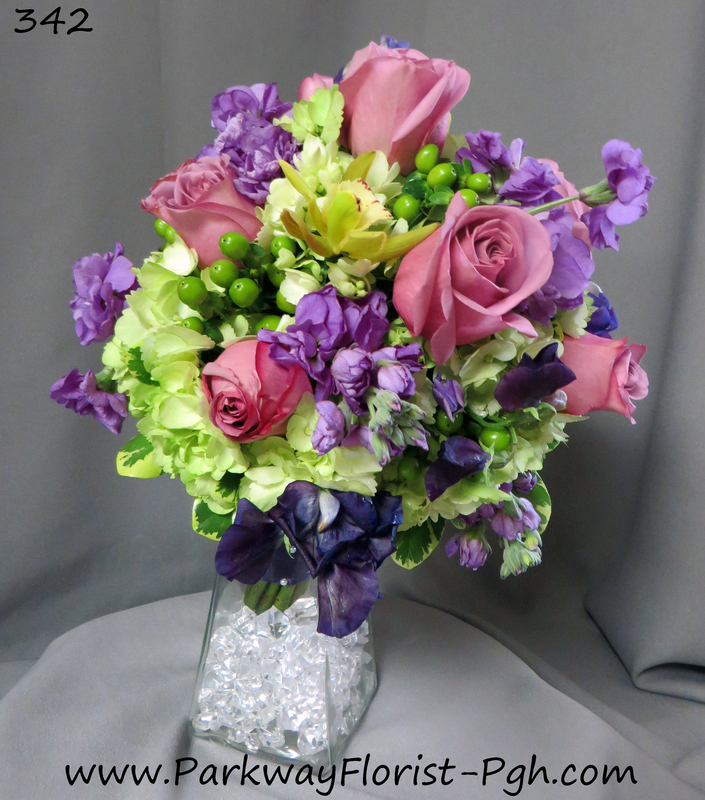 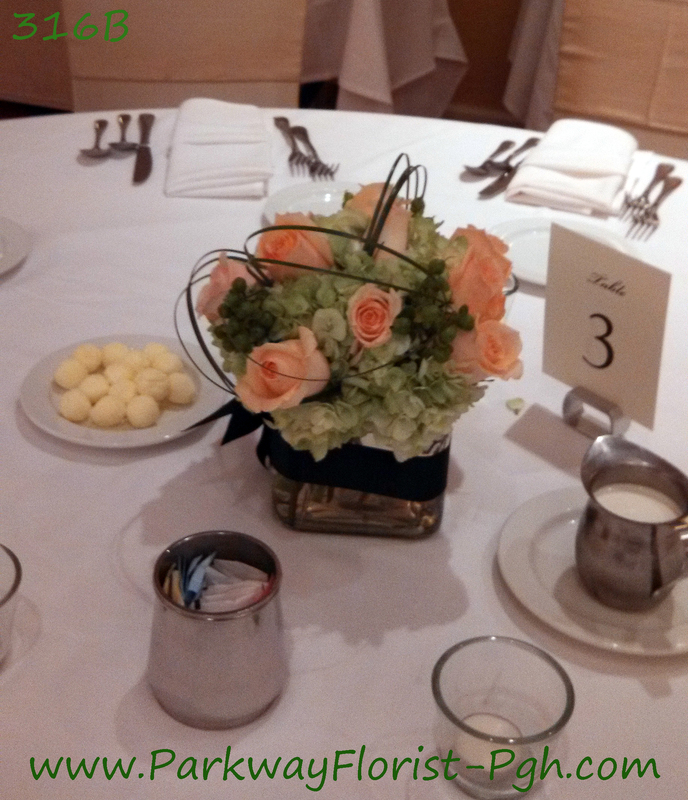 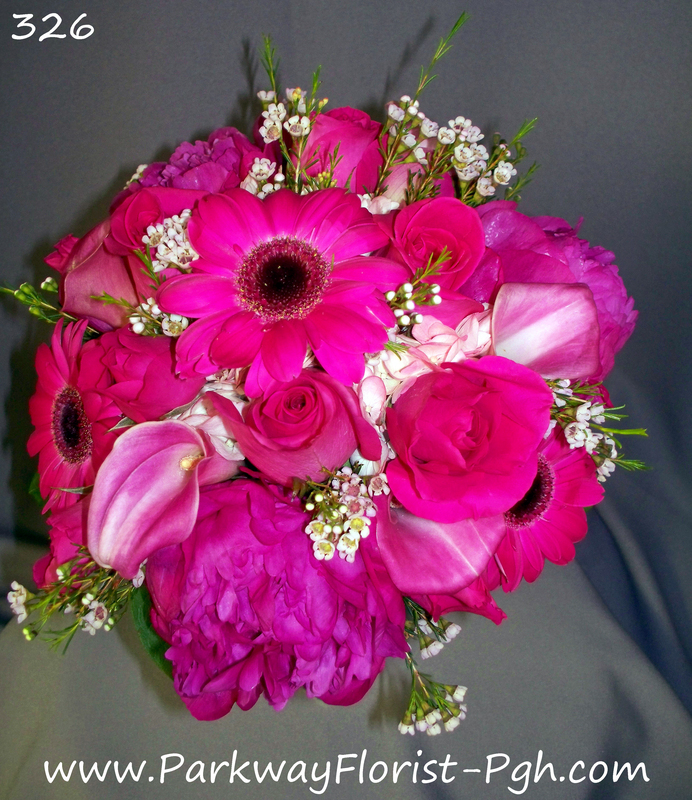 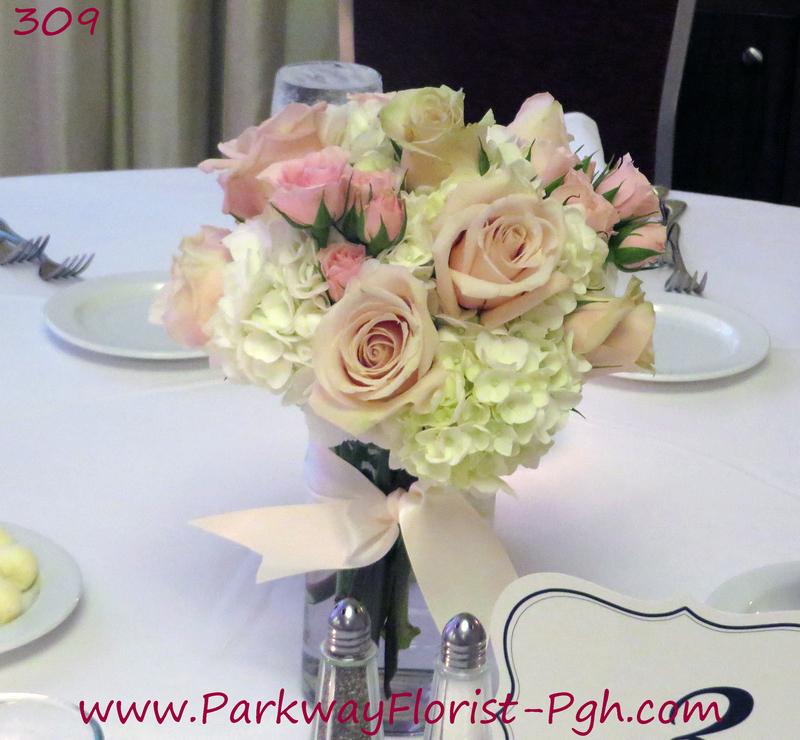 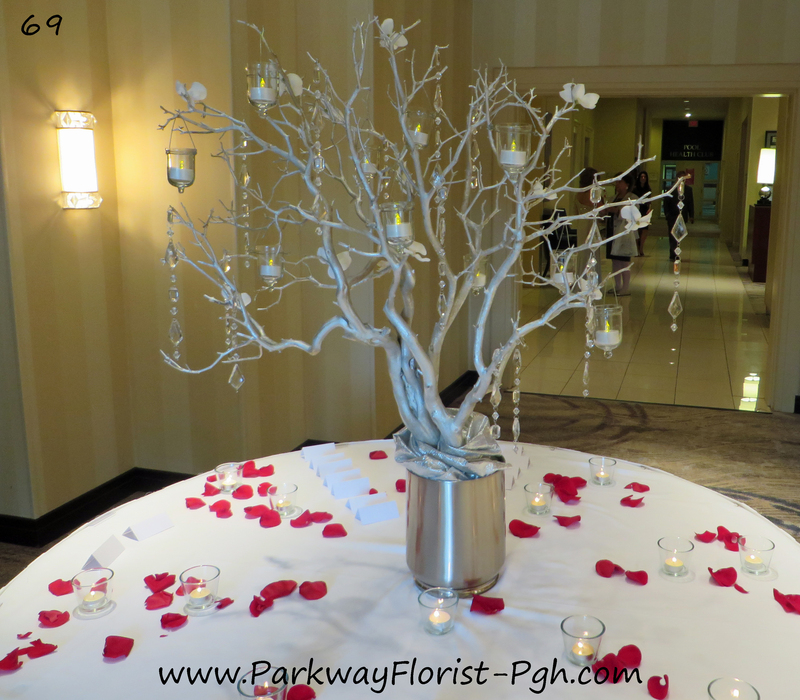 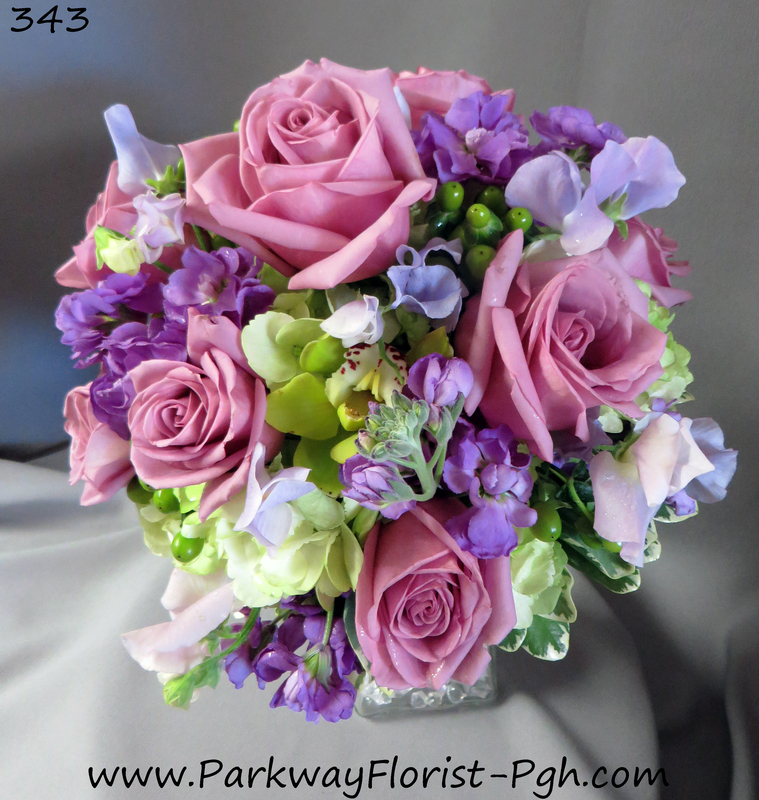 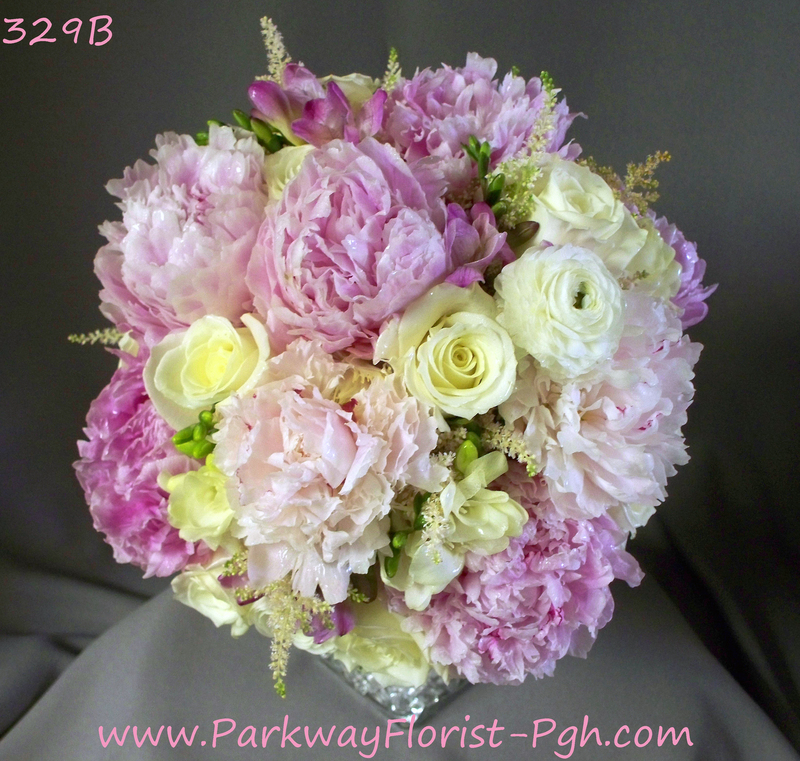 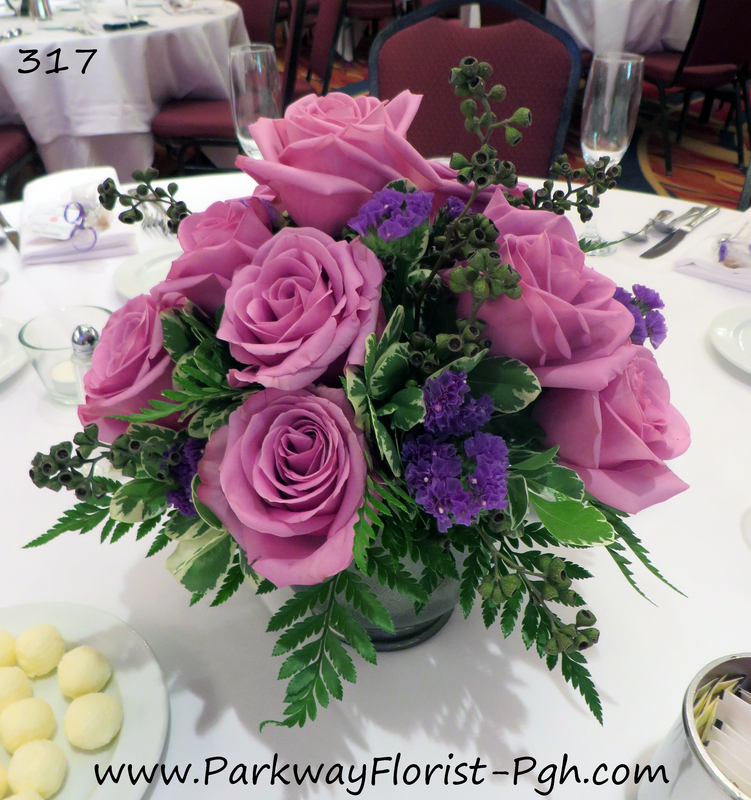 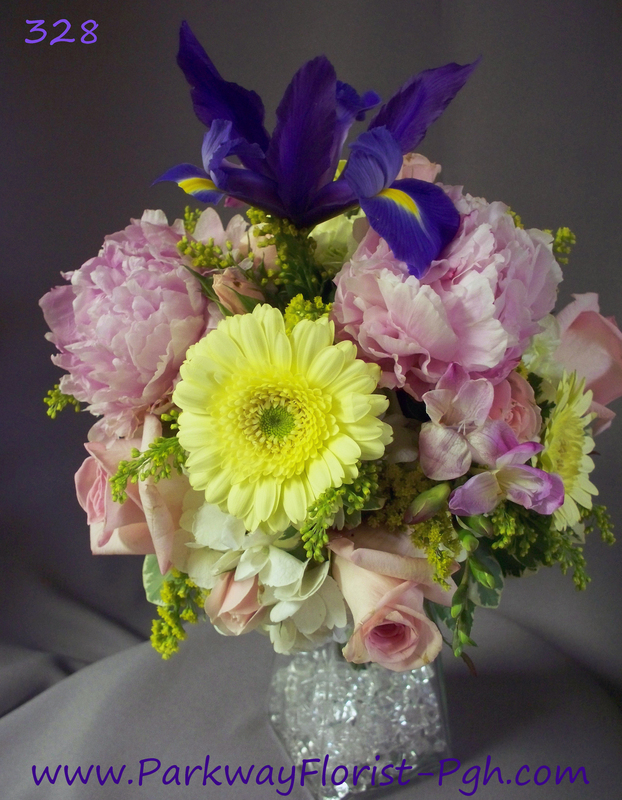 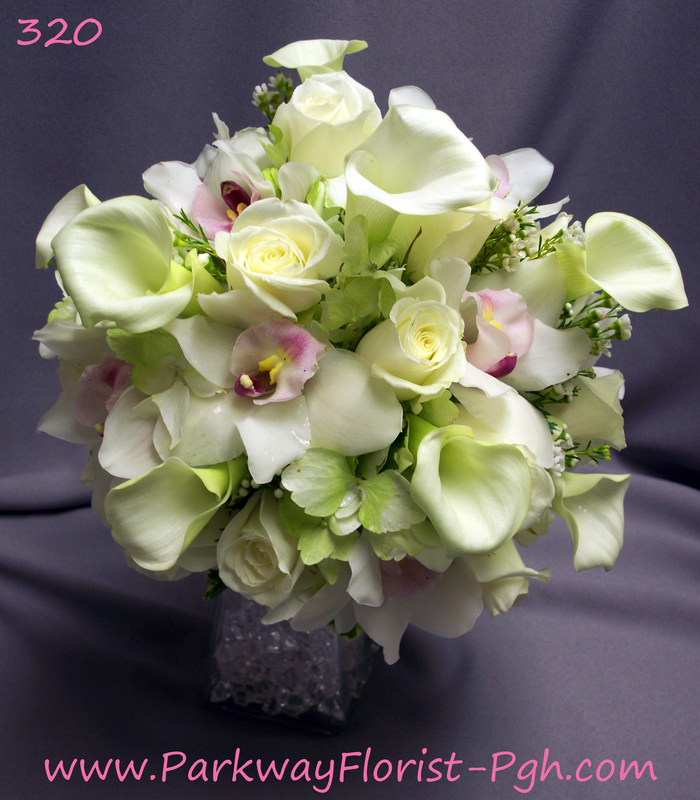 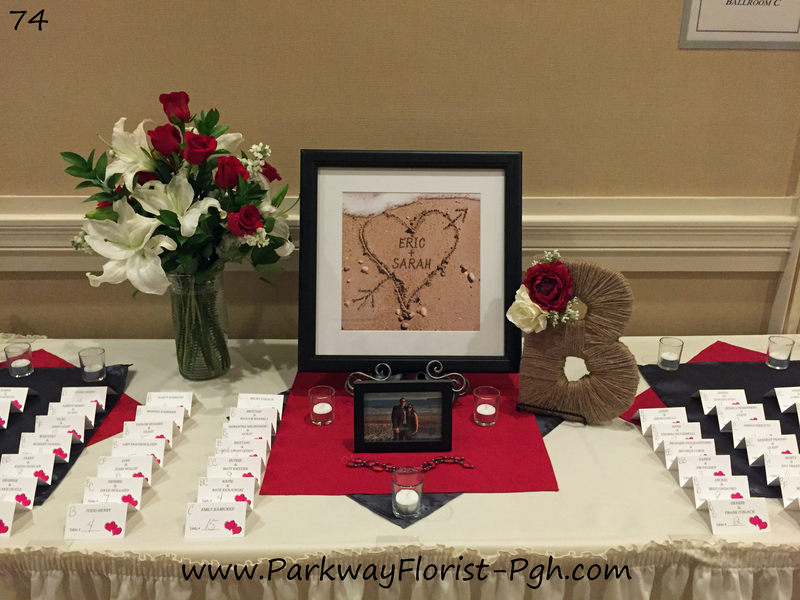 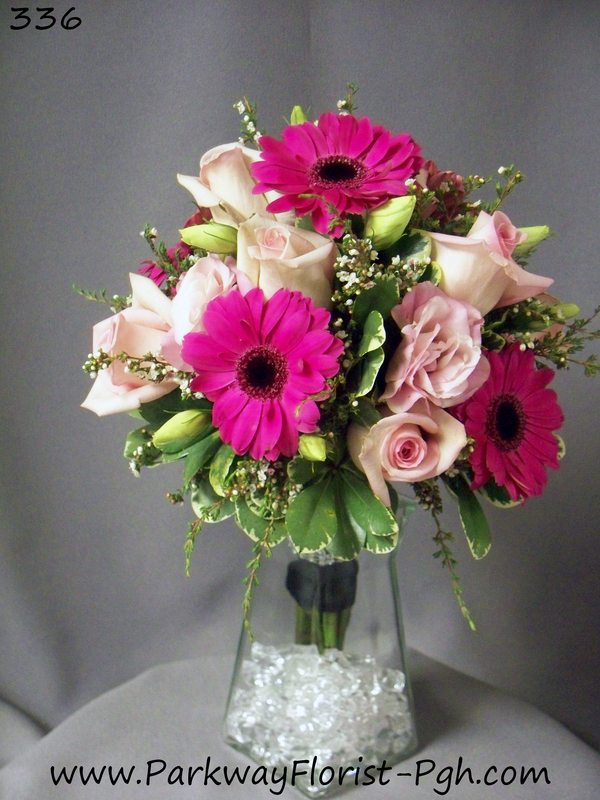 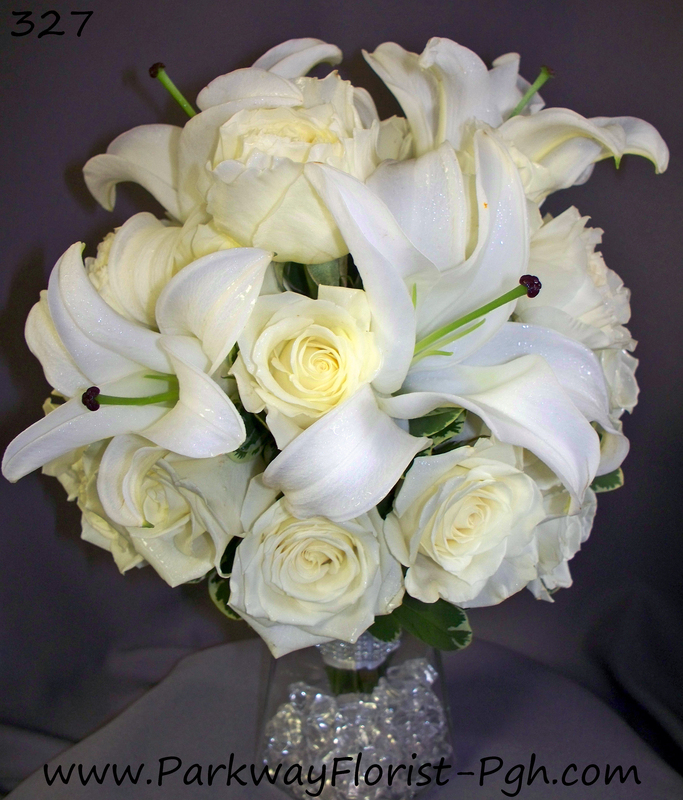 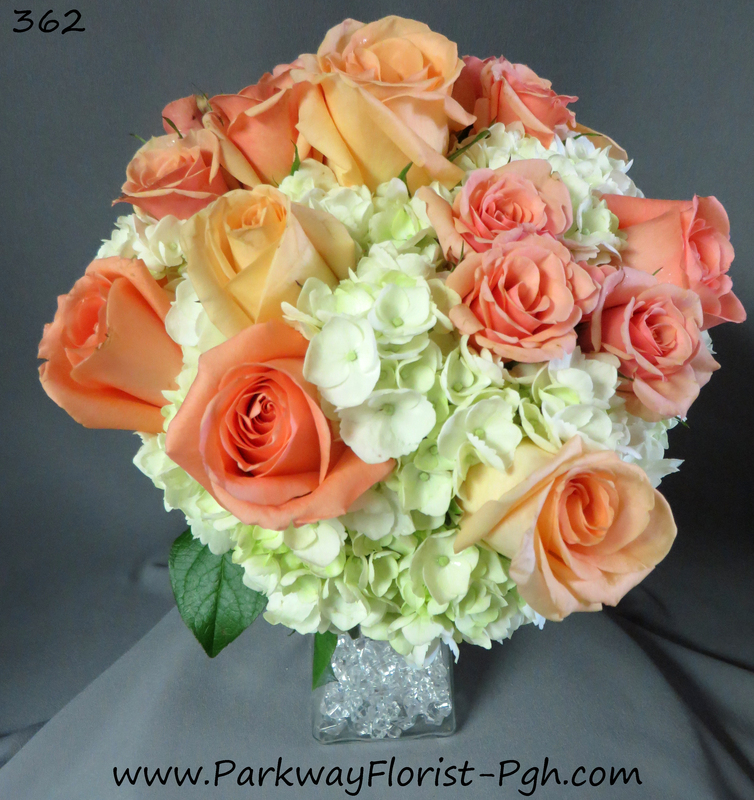 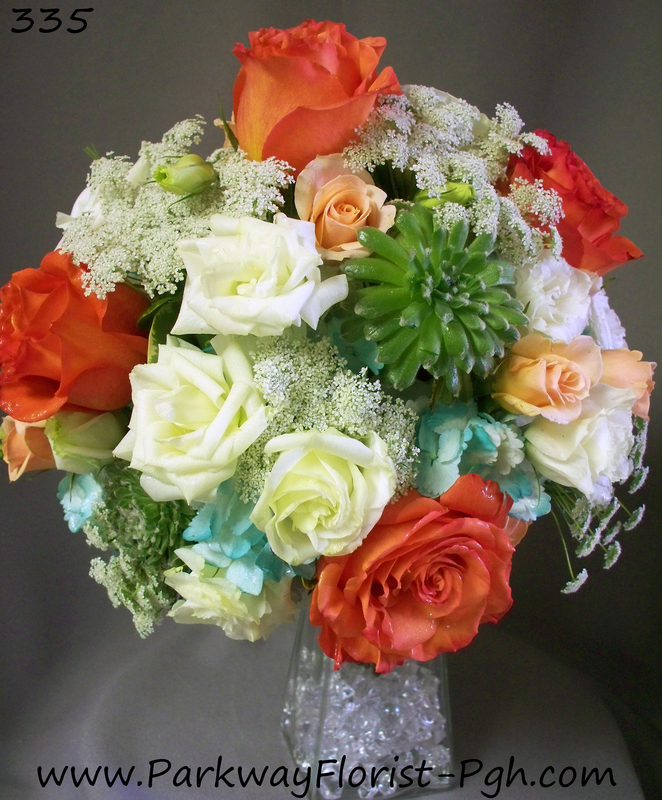 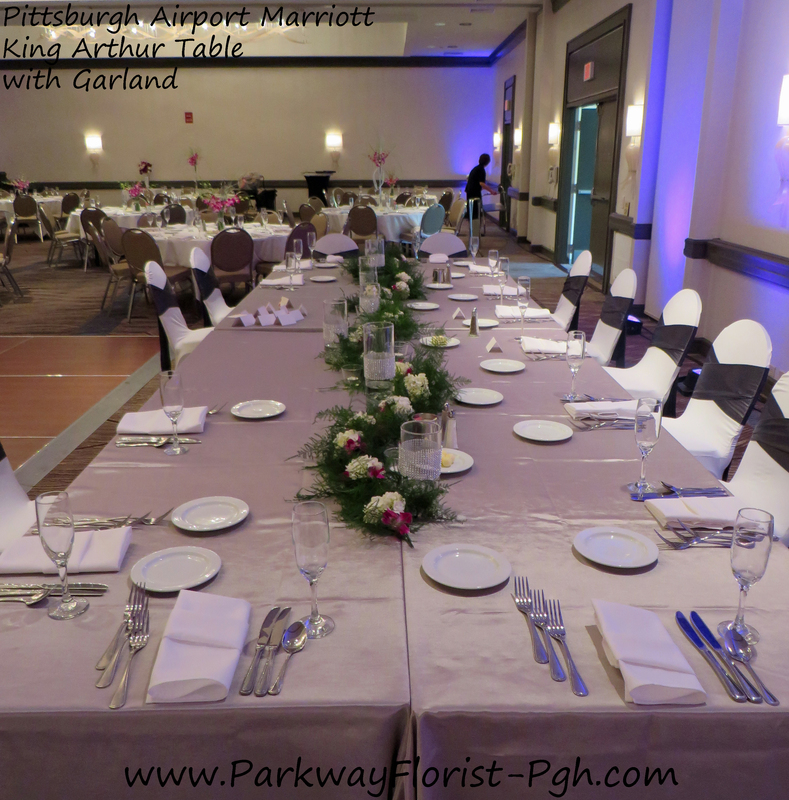 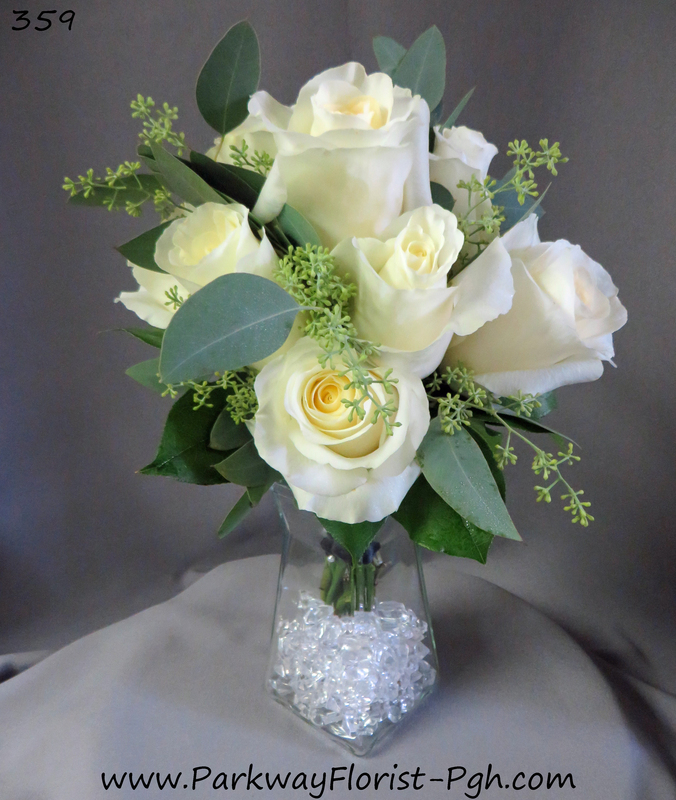 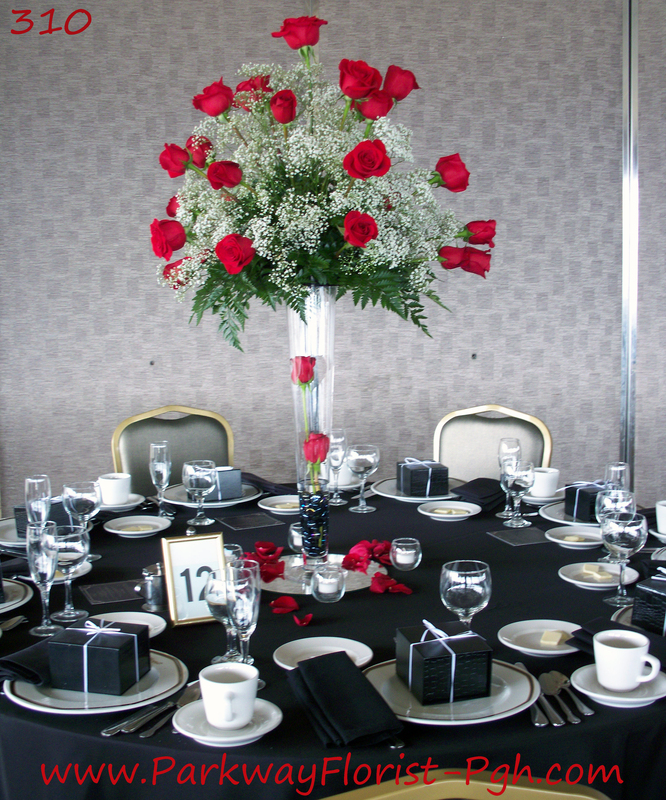 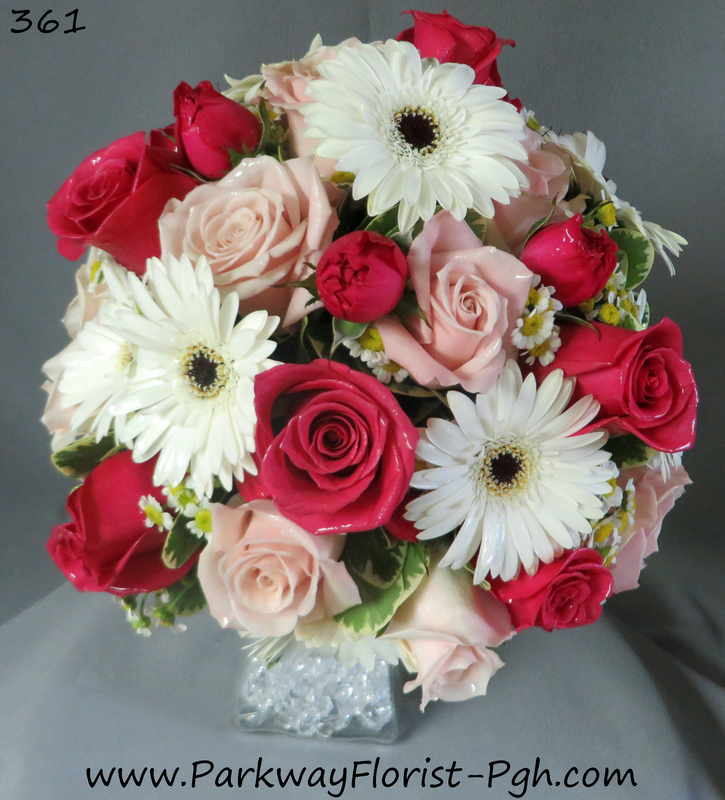 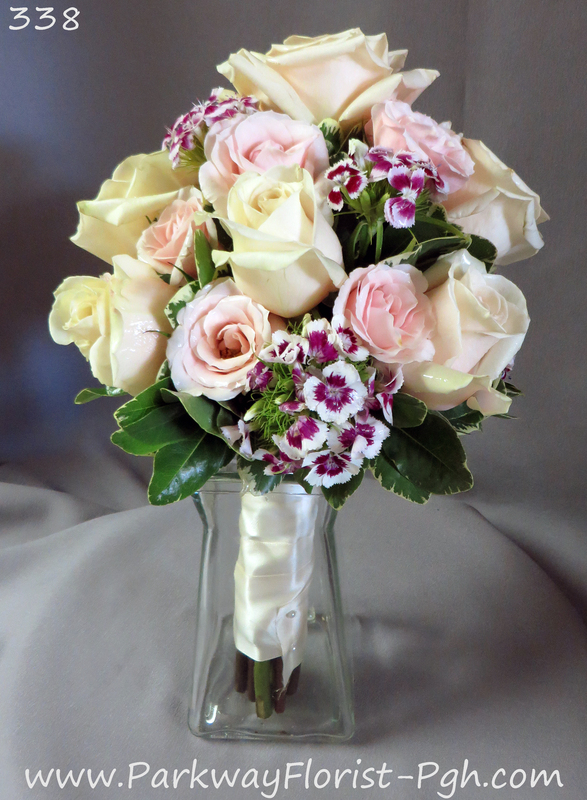 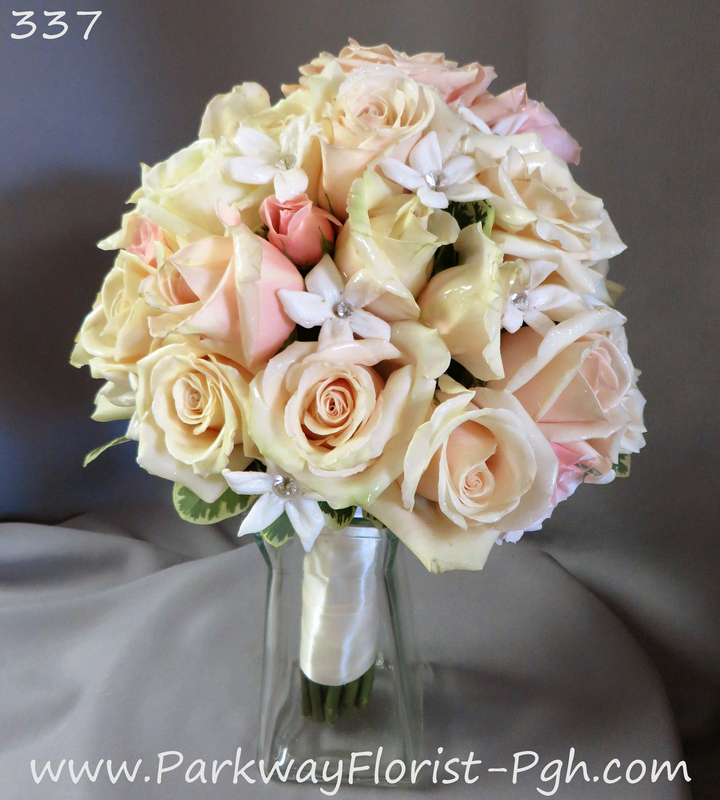 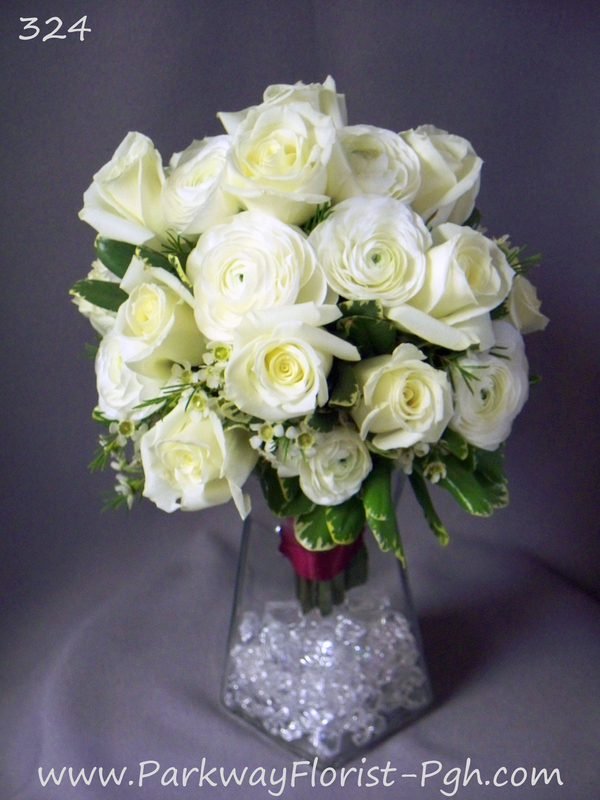 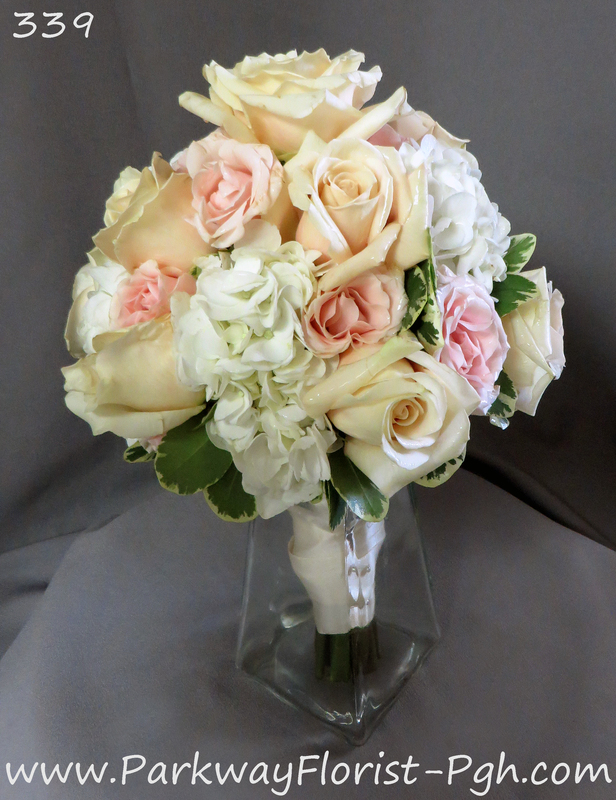 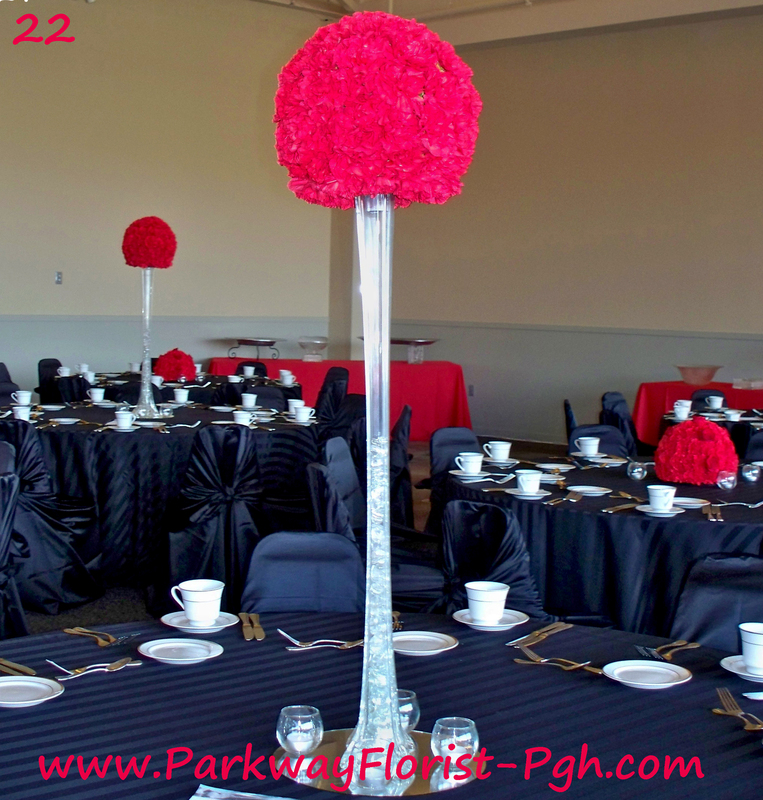 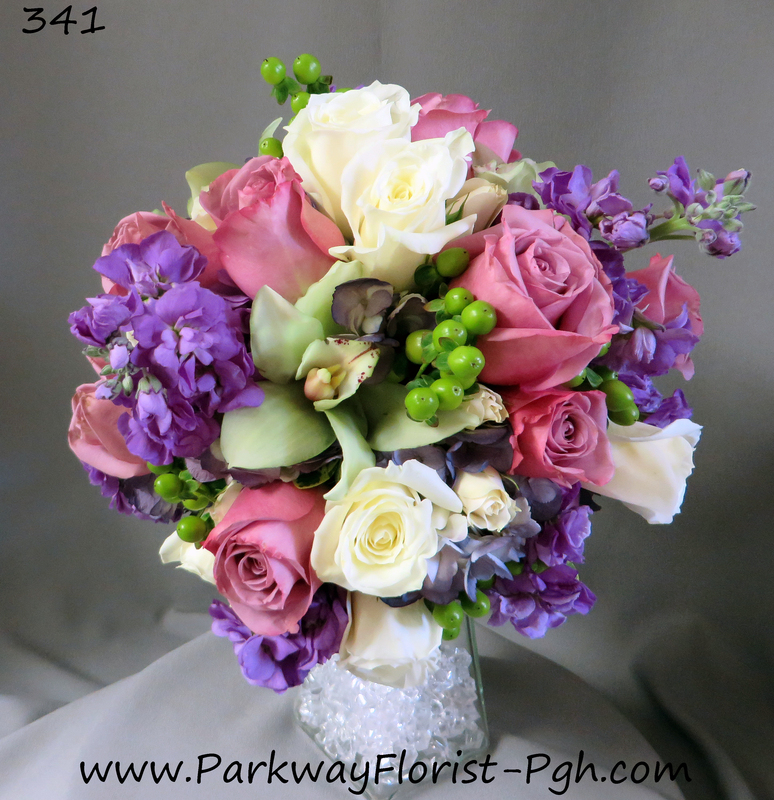 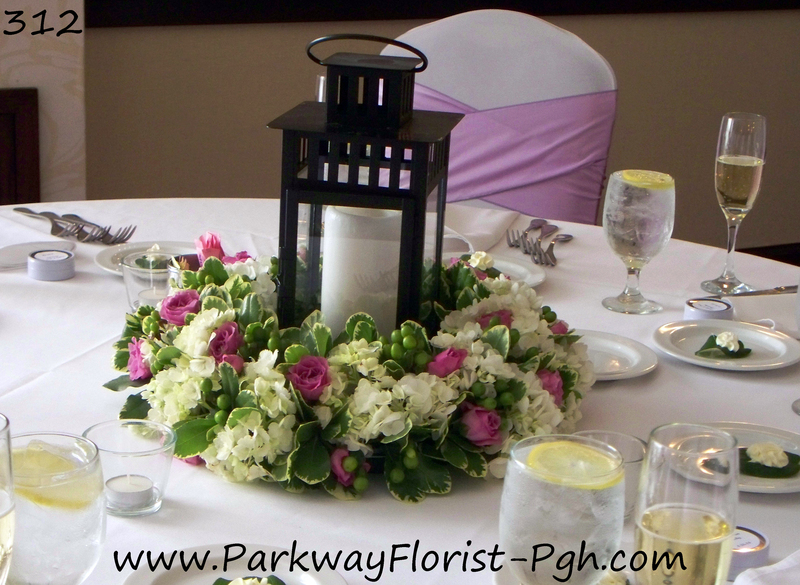 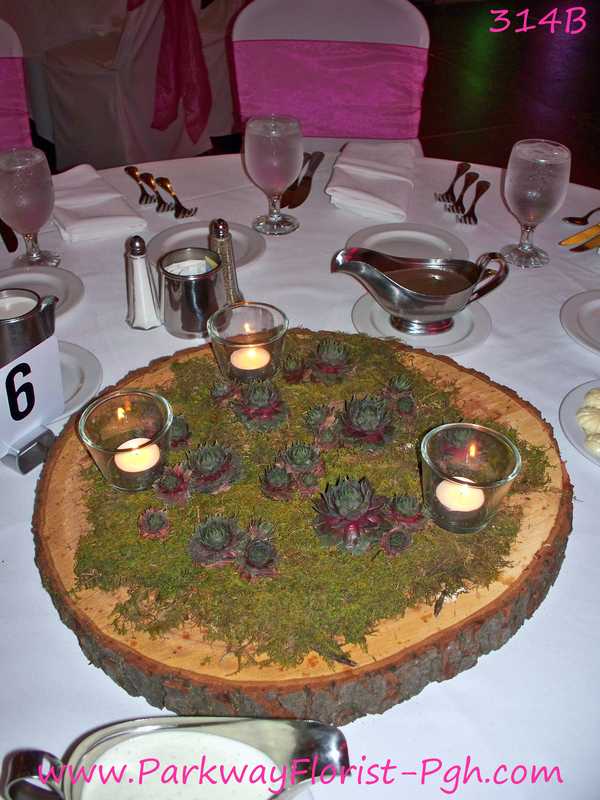 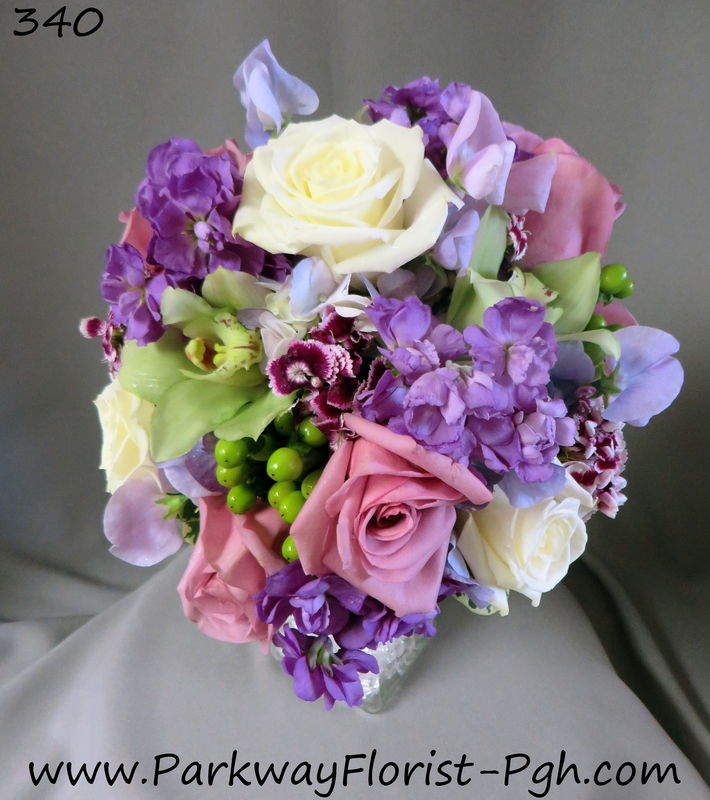 We are very excited to post our recent wedding centerpieces for your viewing pleasure! 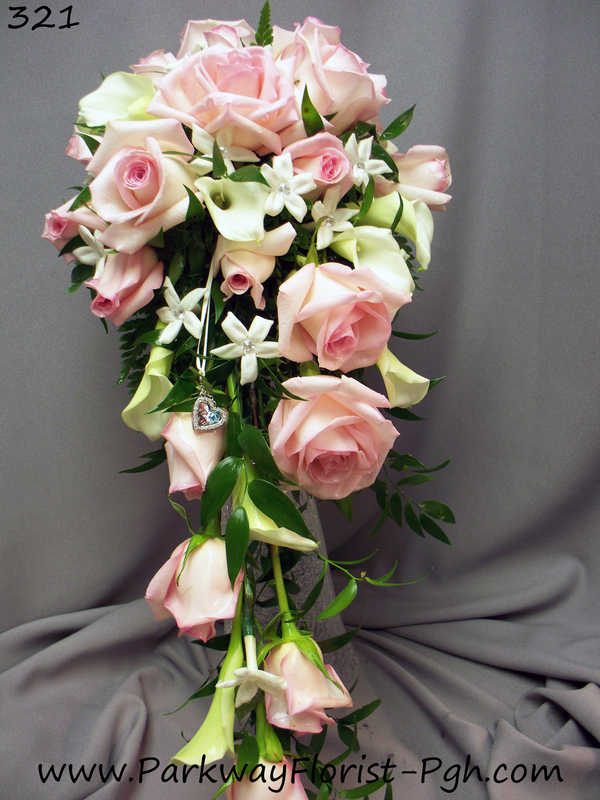 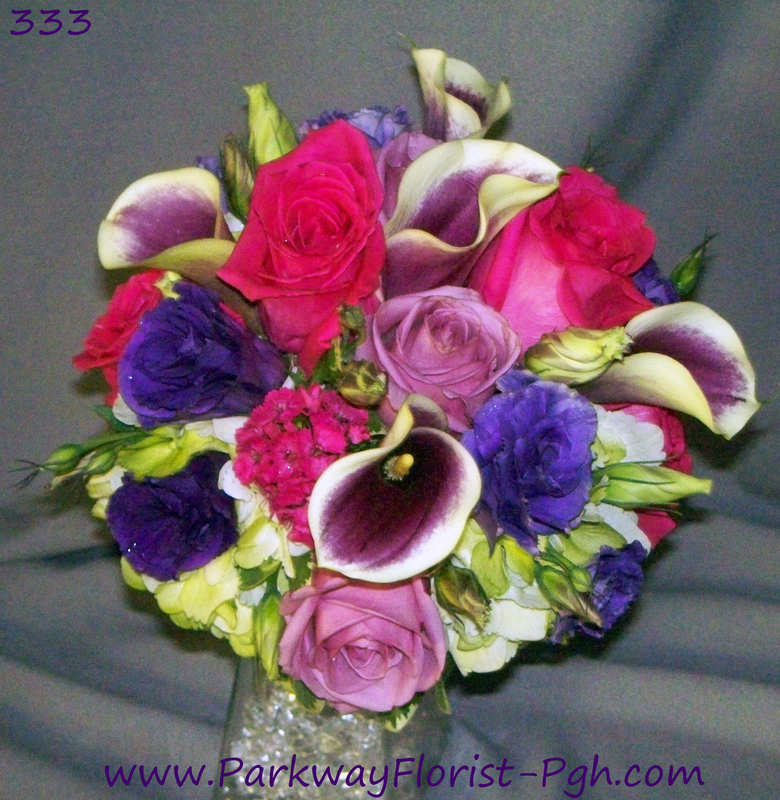 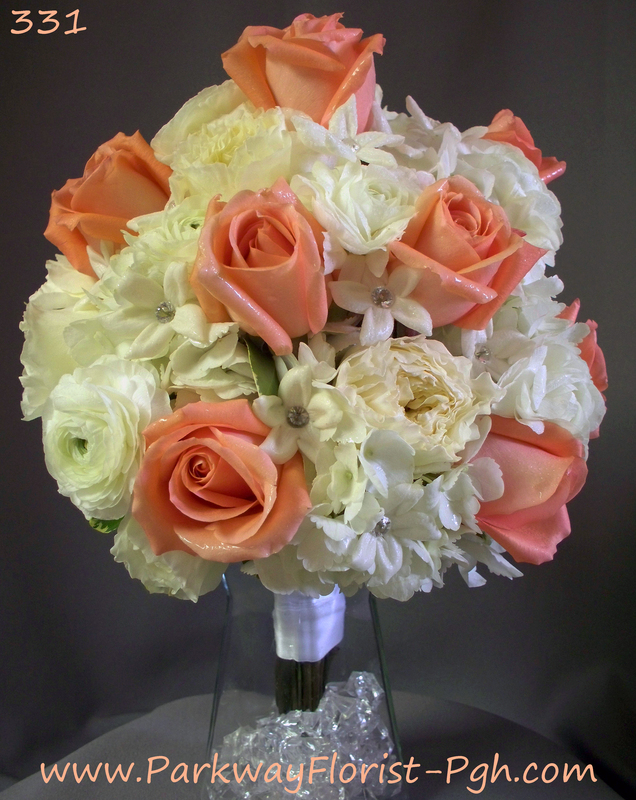 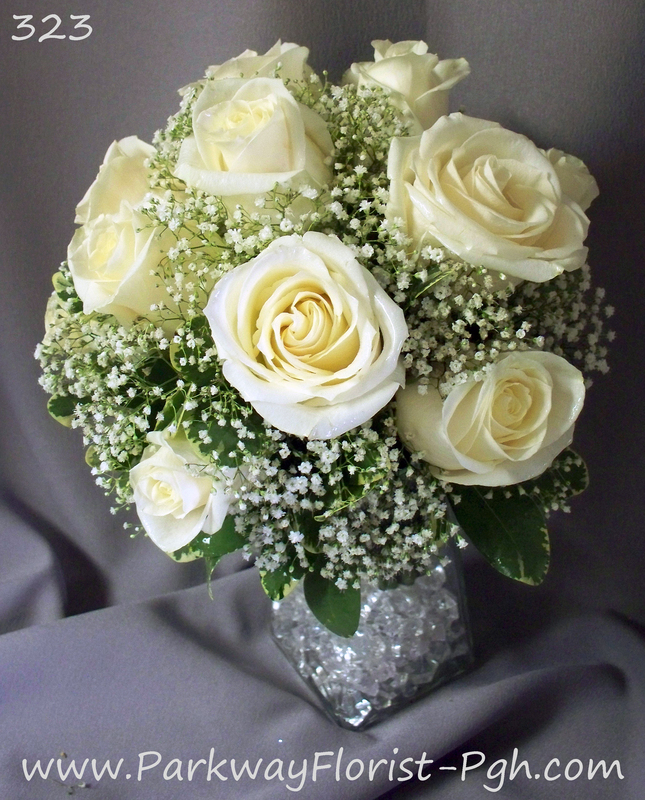 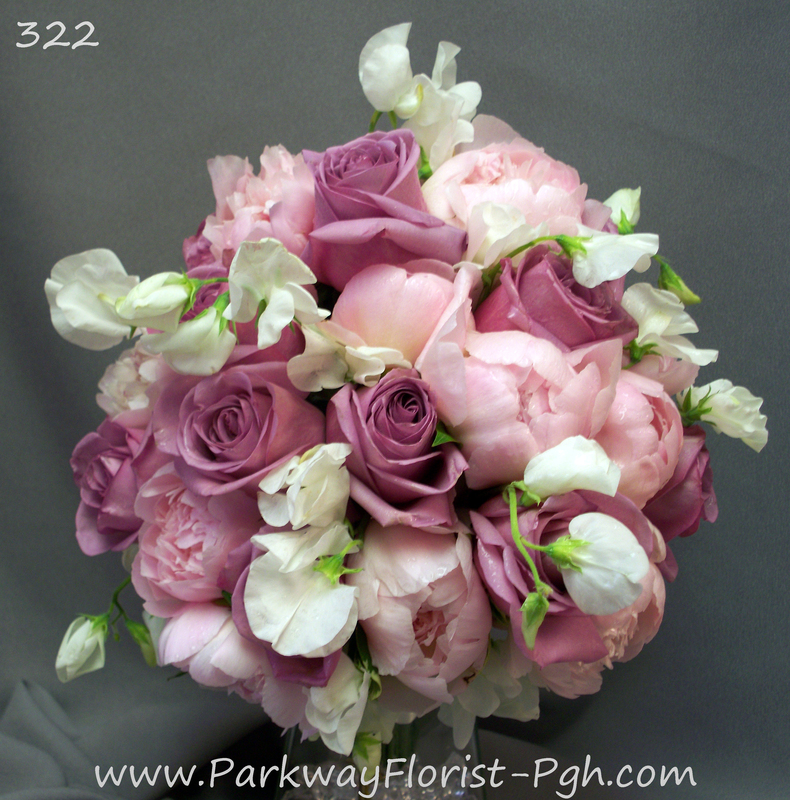 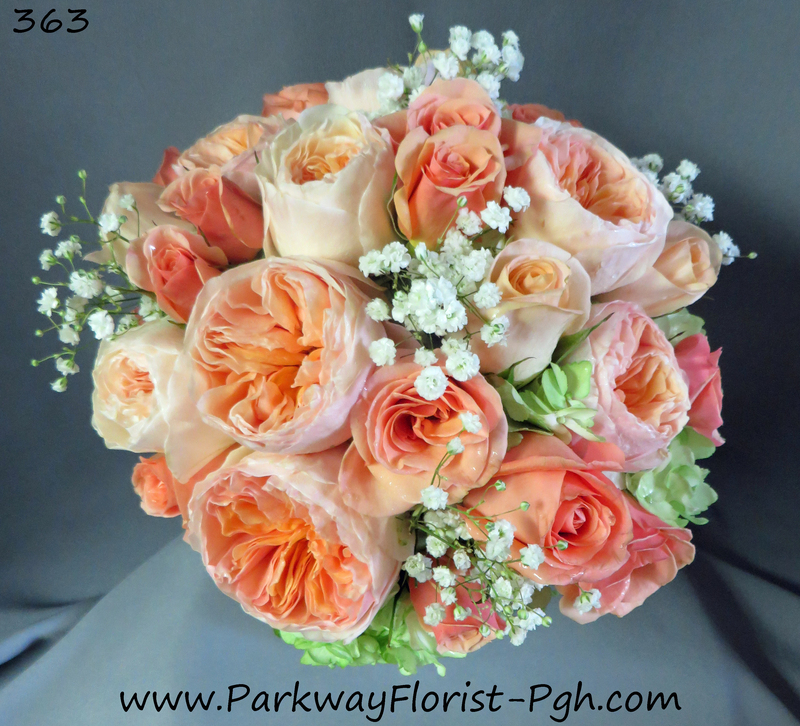 This entry was posted on June 12, 2014, in Ideas & Arrangements, Weddings - 2014 and tagged bling, bride, brides, centerpieces, colored roses, colors, elegant, Flowers, grand, love, peach, pink, purple, red, Roses, wedding, white.